Two-time world champion Fernando Alonso claims that current regulations is killing all the fun out of F1. And if things don't become more exciting in the next season, Alonso might be looking at joining other racing series, according to Motorsport.com. McLaren which isn't doing as well as they would like to currently, would definitely benefit in some rule changes too. Thankfully, 2017 will see an increase in aerodynamic and mechanical grip, as wider wings and tyres become the new standard. It is estimated that up to four to five seconds can be shaved off each lap with the change. Hopefully, viewers and drivers can see more overtakings and battles with the change. 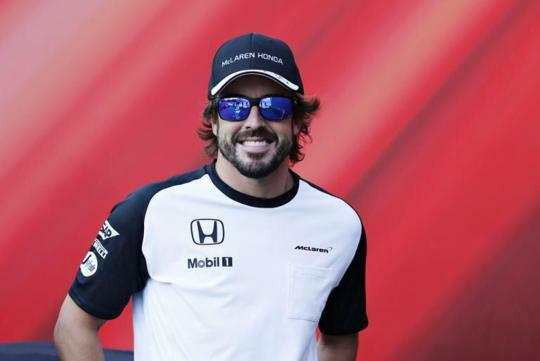 In the article, Alonso did added on that he isn't ready to retire at his current age of 35 and he has been linked in the past to drive at Le Mans and the associated FIA World Endurance Championship. His contract with McLaren ends at the end of the next Formula 1 season and is one of the oldest on the grid. "... current regulations is killing all the fun out of F1." Translation: Alonso is not winning and not even podium-placing, and that's killing all his fun. "And if things don't become more exciting in the next season..."